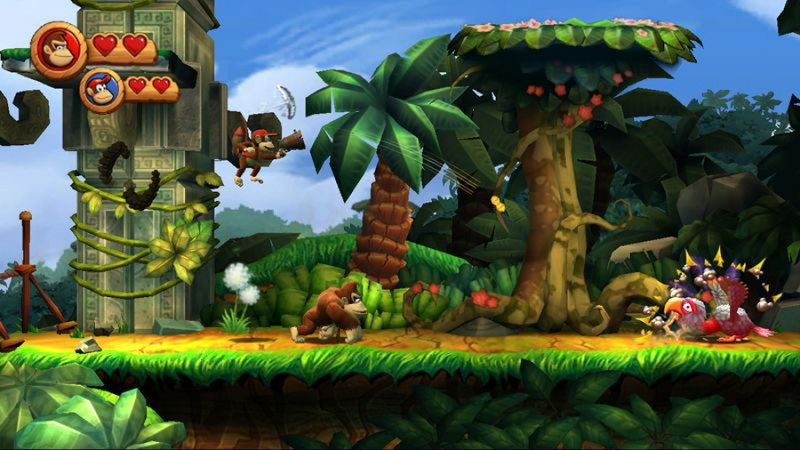 Rare's Donkey Kong Country trilogy is a collection of three absolutely classic games, so there was obviously plenty of trepidation when Donkey Kong Country Returns was announced back at E3 in 2010. However, if there were ever a capable studio, it would be Retro Studios, and the development team did an excellent job of revitalizing the classic sidescroller for a new generation. While the game has been available on the eShop in Europe for several months now, it's only been made available to North Americans as a rather expensive My Nintendo reward, which is no longer available on the site. Fortunately, for those of you that didn't snag it in time, it will be sold this week on the eShop as a Wii retail download for the standard $20. What do you think? Will you be picking this up? How do you think it compared to the originals? Share your thoughts in the comments below. Absolutely great game! It (especially along with Tropical Freeze) does a better job with expanding on the DKC games than the NSMB series ever did for the original Mario platformers. Buy it if you haven't played it, it's better than Tropical Freeze! @RyanSilberman I agree, I feel like they weren't quite as concerned with playing it safe here. I actually hope they do a third one, feels like Tropical Freeze was a little rushed. I don't like the controls. It would have been a great game if rolling was assigned to a button instead of requiring to shake the remote. @Bass_X0 Meh. It's annoying at first but you get used to it. This game is a masterpiece. I'm hoping for a 3rd one, perhaps on the 3DS using the Returns 3DS engine. The console DKC = 5 of the best platforming games ever made while the DKC Land games are just alright albeit impressive for the time. Didn't Nintendo recently re-release both the Wii and the 3DS versions as Nintendo Selects? They REALLY want people to buy this game, it looks like. DKC NX or 3DS confirmed! I'd recommend the 3DS port over this one. It's very good on the Wii to be sure, but the 3DS one did a lot of work to polish it up. That said I'd recommend Tropical Freeze over either. That's the true classic. Got my 3DS version free during the wonderful days of Club Nintendo. I should have gotten the Wii version of this on My Nintendo while it was up, but wasnt motivated to harvest the coins at the time, since I technically have the "better" version. I'd really like to see Mario All-Stars hit the eShop or My Nintendo. When I was a kid, when I got bored of the SNES versions I went to the NES; and vice versa. Lol! I prefer Returns to Tropical Freeze. TF should have used the same mix of the tune for the rocket barrel levels. Those and the mine kart levels were big highlights. The ones where you jumped from kart to kart instead of riding in one. I'd love to give this a try. Love the game. The controls not so much. First time I read people saying DKCR is better than DKTF !!! I have only played to DKTF and I loved it so I guess it would mean I should buy DKCR.. Exactly 20 months ago this was released for Wii U VC in Europe. Neat. Already own a physical copy, though, so I won't be getting this. @KingMike This game was criticly acclaimed but not so much a commercial succes. Both the Wii and 3DS version of the games are great despite the Wii's awkward controls so it's no wonder they want it sold. Is there an option to play it without any motion controls at all, so things like ground pounding and rolling, or whatever it was that used motion controls on the Wii version, now use buttons only? That would be ideal because the only real issue I had with the Wii game was the motion controls, and it was kind of a deal breaker for me. I absolutely loved this on Wii, Tropical Freeze on Wii U is even better, a masterpiece in my opinion. Are we sure it isn't the 3DS version, b/c that wouldn't make any sense, and not making sense is kind of what Nintendo does. It was a My Nintendo reward? Huh, I missed it. I won't be getting it either way though since I had the 3DS version and never really got into it. An awesome game that had only one thing missing from the special DKC formula. Mr. David Wise! Loved this game. Definitely adding to my wish list. I miss the Wii download $10 for the first week offer Nintendo used to run. Can we just get some more N64 games instead? I already own most of these Wii titles as actual discs and I'll happily switch discs and boot them up with a couple extra steps to save $20, thanks. I also got this terrific game free from Club Nintendo back during it's tenure. Eventually I'd like to own the Wii disc or get this download of it. @nono6400 Tropical Freeze is ages better in my book, but Returns is also a great game. But yeah, wiimote controls on a platformer are the worst, so I'd recommend the 3DS version istead. 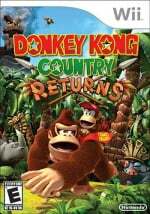 Still a much better game than Tropical Freeze, hope we get a new DK game on NX. Didn't Wii games on the eShop originally cost $9.99 the first week? What happened to that? This game is awesome and TF is even better. I thought dk:tf was a brilliant game, very hard but very rewarding. I true platforming masterpiece with originality and great music to boot. I bought the disk of returns as soon as I hit 100% on tropical freeze, I hadn't been able to make myself start it yet though as it was just such a challenge getting to that point in tf. Maybe when I eventually finish xenoblade x I might fire it up!?! I already have the 3DS version, as well as Tropical Freeze for Wii U. I will pass. Besides, I had I wanted it I would have already gotten it from Amazon when it was first released as a Select due to the 20% off preorders/new releases for Prime members. I remember when I first played thought this game... I couldn't believe it was real, it was that good. It has like everything I want in a platformer. @nono6400 DKCR is a lot more full than DKTF, imo. DKTF has better graphic & level design, better enemies, easier controls, and swimming; but, when it come to just platforming, DCKR is king with 2 more worlds and many more levels than DKTF. DCKR also has this really classic world progression that's just fantastic. World 6 is also stunning. But, important to know is that's just my opinion and this is one of my favorite games, so I'm a bit biased. So much spectacular artwork and animation in this game. Music is a great mix of favorites as well. And of course, the real star is the level design. This isn't a VC game. I've played through both the Wii and 3DS versions. I enjoyed Tropical Freeze much more, less worlds, but just feels all around more fresh, polished, and balanced.